Beth Cato hails from Hanford, California, but currently writes and bakes cookies in a lair west of Phoenix, Arizona. She shares the household with a hockey-loving husband, a numbers-obsessed son, and a cat the size of a canned ham. 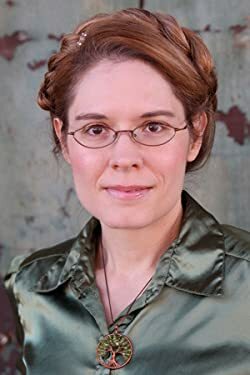 She’s the author of The Clockwork Dagger, The Clockwork Crown, and Breath of Earth. Follow her at BethCato.com and on Twitter at @BethCato. Click here for more stories by Beth Cato. 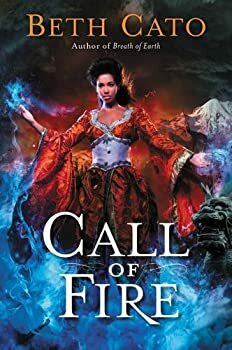 Call of Fire (2017) continues the adventures of Ingrid Carmichael, introduced in Breath of Earth as a secretary at a geomancy school with tremendous hidden powers and who, in this second BLOOD OF EARTH novel, is on the run from an ambitious ambassador with deadly secrets. This time, Beth Cato takes Ingrid, Lee Fong, Cy Jennings, and the brilliant engineer Mr. Fenris up the Pacific Northwest coastline to Portland and Seattle, where the Japanese influence of the United Pacific conglomeration is inescapable. 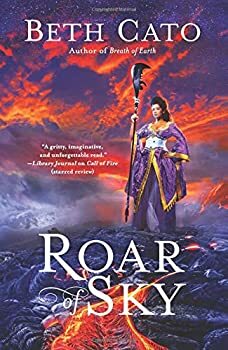 Beth Cato concludes her BLOOD OF EARTH trilogy with Roar of Sky (2018), bringing the story of clandestine geomancer Ingrid Carmichael, which began in Breath of Earth and continued in Call of Fire, to an action-packed close. This review will contain some spoilers for events in previous books, so proceed with caution.